That was our introduction to Ribolla Gialla. We were at an Italian restaurant in Yerevan, and our friend suggested that we order a bottle of yellow wine (gialla means yellow in Italian) from Friuli-Venezia Giulia. It was a fresh and unctuous wine produced by a cooperative winery. We didn’t love it or hate it, but we were intrigued. It tasted like peaches soaked in fish oil—that sounds like a rather crude description, but those flavors certainly seemed right in that moment. At least right enough to titillate our impressionable palates. 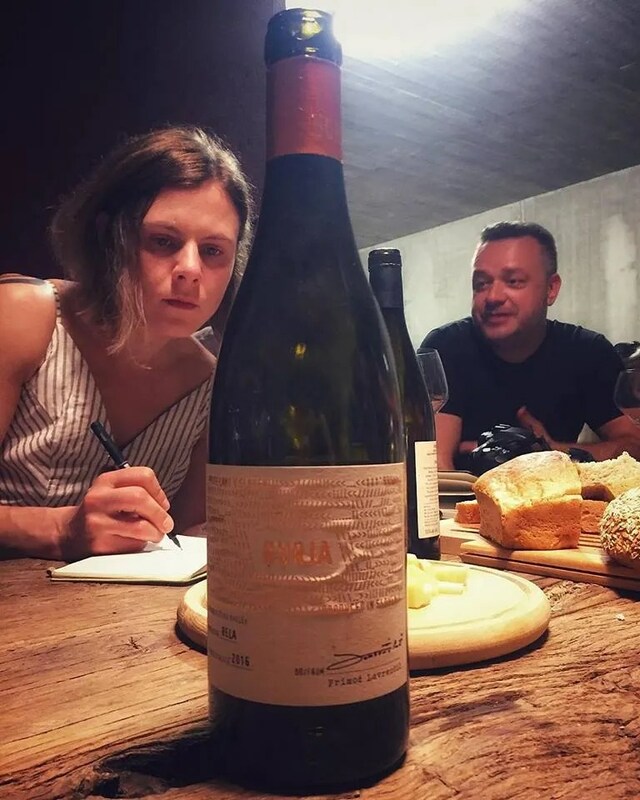 Three years after our first taste of Ribolla Gialla in Armenia, we were reacquainted with the grape when we went on a self-funded research trip to Collio in Friuli-Venezia Giulia (Italy) and Western Slovenia (Ribolla Gialla is known as Rebula in Slovenia) in 2017. After experiencing the myriad of styles coaxed out of the same variety, we became advocates of the grape. ﻿﻿﻿ In the summer of 2018, we were invited to the inaugural Vipavska Rebula Cesarjev Ižbor 1503 (Vipava Rebula: The Emperor’s Choice Since 1503). The name of the event is in reference to the year 1503 when the Roman Emperor Maximilian I placed an order for Vipavska Rebula (Rebula from Vipava Valley)—thereby validating the heritage, quality, and longevity of the wine. The event was supported by the Slovenian Tourist Board and organized by six winemakers from Vipava Valley: Miha Batič (Batič Wines), Primož Lavrenčič, (Burja Estate), Valter Mlečnik (Mlečnik Wines), Zmago Petrič (Guerila), Franc Vodopivec (Slavček), and Edvard Svetlik (Svetlik). We were part of the international media team that attended the event and three-day press tour to Vipava Valley. 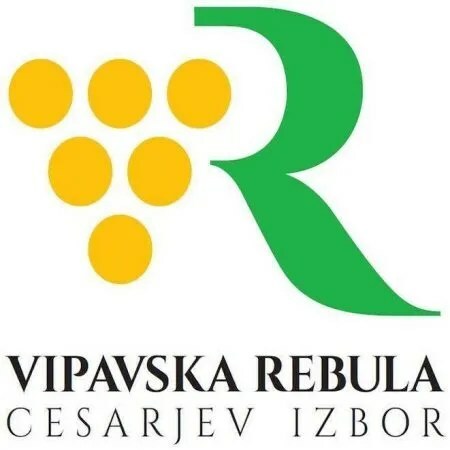 Besides promoting the high-quality Rebula from Vipava Valley, Vipavska Rebula Cesarjev Ižbor 1503 also aims to commemorate the first expert wine book in Slovenian language, entitled Vinoreja: sa Slovenze and written by Priest Matija Vertovec in 1844. In the book, Matija Vertovec offers winemaking advice to growers and makers, with an emphasis on Vipava Valley. The one-day agenda of Vipavska Rebula Cesarjev Ižbor 1503 consisted of lectures, a masterclass, and a walk-around tasting. During the masterclass, we tasted 15 Rebula varietal wines and 10 blends containing Rebula. The wines ranged from fresh and classic to various macerated styles. All 25 wines in the class showed well. 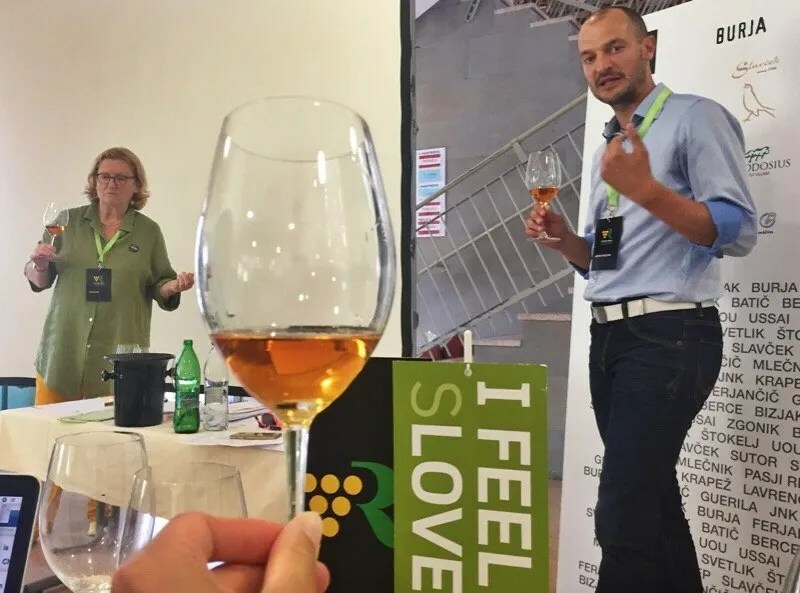 Many of the media representatives were tasting Slovenian wine for the first time, and the Rebula of Vipava Valley was clearly a maestro in conducting first impressions. 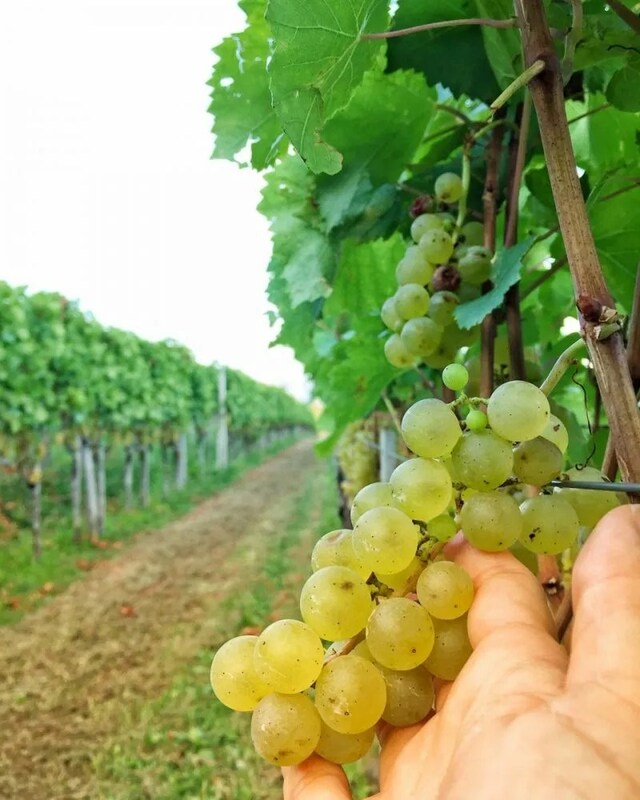 One journalist turned to us during the class and said, “I’ll be taking a lot of wine home.” The three days in Vipava Valley were filled with praise and astonished countenances. Tasting Rebula wine in a masterclass led by sommeliers Mira Šemić and Martin Gruzovin. This was one of the most impressive press trips we’ve participated. During the other two days of the trip, we visited the wineries of the six organizers, all of whom are quality-minded, minimal-intervention, and small-sized producers. 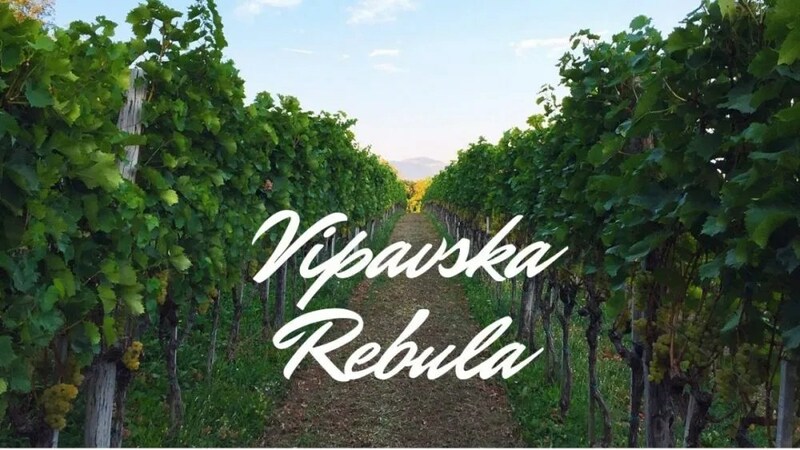 All six proprietors are personally involved in the vineyard and cellar work, and we were able to learn about how they’ve come to preserve the “Vipavska Rebula” heritage in their own judicious way. Surely these six producers had joined forces based on commonalities and sustainable cultivation was clearly one of them. It is also interesting to note that all six producers make macerated Rebula, which can also be called orange wine or amber wine. In a recent study led by Dr Dejan Bavčar from the Agricultural Institute of Slovenia, it was observed that the primary aromatic compounds of Rebula tripled when vinified with a warmer, more oxidative procedure and a longer period of maceration. It was concluded that Rebula is poor in aromatic compounds, hence it is not the best material for making fresh wine in reductive technology. Instead, the variety is more suitable for classical and traditional methods of winemaking, where structure and texture take center stage. Aligning with what Matija Vertovec documented in Vinoreja, he makes reference to an old Vipava method of using one-week skin contact for white grapes and ultimately recommends skin macerations to last from 24 hours to 30 days. 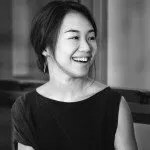 Our personal preferences agree with this approach, and we find that macerated Rebula—regardless of reductive or oxidative vinification and length of maceration—is almost always more interesting than fresh, reductive-style Rebula. Maceration extracts more phenolics from Rebula in an organoleptically positive way—and that’s not something we can say about all white varieties. We’ve also tasted Rebula wines aged in oak barrels, mulberry barrels, concrete eggs, and amphorae, all of which add noteworthy dimensions to the wine. Known as “Ribolla Gialla” in Italy, Rebula originates from Italy-Slovenia border. Its first mention appears in a document from the 13th century under the name Rabola. Back then, it was referred to as a style of wine and not a variety. Rebula’s first ampelographic description was given by the aforementioned Matija Vrtovec in 1844. Like many old varieties, Rebula has a huge clonal diversity, which can result in noticeably different sensory merits; there are five identified clones planted in Vipava Valley. In Slovenia, Rebula is responsible for around 600 hectares of vineyard area, making Slovenia the biggest producer of Rebula grapes. As a reference, about 300 hectares of Ribolla Gialla are grown in Italy. Rebula is grown all over western Slovenia but is believed to achieve its best expression in Vipavska Dolina (in addition to Goriška Brda). For a long time, Vipavska Rebula played a crucial role in Vipava Valley’s economic, social, and cultural aspects. Tax records show that it was used to make the region’s most expensive wine. Up until the 1960s, Rebula comprised of more than 50% of the vineyard area in Vipava Valley. However, international varieties were gradually introduced and local varieties were neglected. In the 1980s, it was on the verge of neglect as the plantings of Rebula continued to decrease and Rebula grapes were heedlessly used to make simple wine. The variety returned to an upward trajectory again in the 2000s. Currently, there are 225 hectares of Rebula planted in the valley, about 10% of the total vineyard area in Vipava Valley, and it’s ranked fourth as the most widely planted variety in Vipava Valley. About 10% of the vines are older than 35 years old. Rebula is a mid-ripening grape. It is susceptible to millerandage, mildew, rot, and low fertility. It has relatively high acidity and is light to medium bodied when vinified in a classical white style. The color is typically yellow with green tone or golden yellow; but when macerated, it turns to a deep yellow color or deep tangerine (still lighter than a macerated Pinot Grigio). The flavor profile of Rebula wine can be quite subdued, with notes of citrus, sweet spice, apple, and blossom. When macerated, it can offer profound depth, broad structure, and savory tones. THE VIPAVA VALLEY (VIPAVSKA DOLINA) Located in southwestern Slovenia, the Vipava Valley—along with Goriska Brda, Kras, and Slovenian Istria—belongs to the Primorska wine region. From east to west, the valley is 40 kilometers, and from north to south, 10 kilometers. This wine-growing district consists of 2,265 hectares of total vineyard area, 1,846 registered grape growers, and 297 winemakers. It is the biggest district in the Primorska wine region and the second biggest in Slovenia. CLIMATE Vipava Valley enjoys a mix of sub-Mediterranean and continental climates. The winters are mild; summers are hot and mostly dry. The areas experience intermittent heavy rain while the rest of the precipitation spreads out appropriately across the year; the annual rainfall is between 1,400 and 1,700 millimeters. The annual hours of sunshine is 2,100. Spring frost and hail can be an issue while summer drought is more frequent. The area also experiences strong Burja wind, which can reach up to 200km/h and destroy vines. Because of the constant wind circulation and general ideal conditions, dry-, organic-, biodynamic-, and sustainable- farming are quite common here. SOIL The valley was once covered by the Pannonian Sea. As such, the bedrock consists of mostly limestone. The topsoil is categorized as Eocene flysch. Wine producers in Vipava Valley would refer to the soil as opoka, the Slovenian name for the layered sedimentary deposits of sandstone and marl. You can learn more about our scoring system on the wine rating page. Helmed by Ivan Batič and his son Miha Batič, the Demeter-certified Batič Winery owns 40 hectares in Lower Vipava Valley and produces close to 100,000 bottles every year, of which 40% are exported. The vines are densely planted at 12,000 vines per hectare and rows are 1.2 meters apart. The winery has been practicing organic cultivation since 1988 and turned biodynamic in 2010. We are fans of Batič Winery ever since our first wine trip to Slovenia. The Batič’s Angel line has always impressed us. 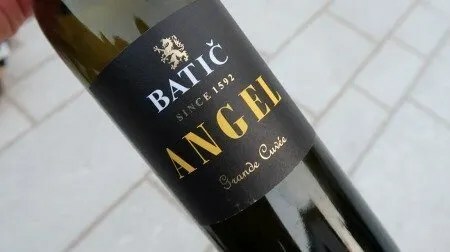 The Batič’s Angel Grande Cuvée Belo 2011 is a blend of 40% Pinela, 20% Chardonnay, 20% Malvazija, 10% Rebula 7% Laški Rizling/Welschriesling, 2% Zelen, and 1% Vitovska. This a refined white wine with just a bit of skin contact. It will appeal to those who prefer classic whites aged in oak. Notes of sweet mango, melon, peach, cotton candy, and white flower. Soft, round and elegant on the palate. Great structural base with a capacity to develop greater intensity and a more impactful end-palate in a few years. I can easily imagine this wine holding well for another decade. Note: Batič’s white wines often taste drastically better with a few hours of aeration. 13% ABV, 3.4 PH. Aged for 1.5 years in barrels. MH: It has a lot of oak but it’s well integrated. The wine is lightly macerated. Flavors of dried yellow fruits and dried herbs. The wine smells and tastes like a fruit cake with a touch of wood. Long finish, it’s rich and opulent. CT: Candied fruit, Christmas spice, sour mango, and an uplifting twist of tangerine. 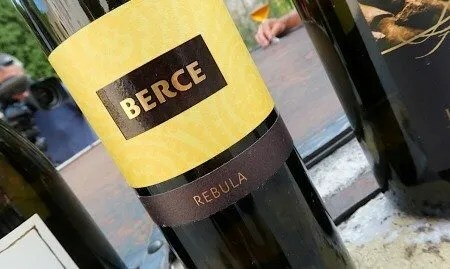 Posestvo Berce’s Rebula Berce 2016 shows great persistence, supported by sweet tannins. However, all that candied flavors and atypicality don’t sit all that well with me. 13.5% ABV, 3.5 PH, 5.1g/l TA. Aged for two years in acacia barrels. Kmetija Bizjak’s Rumena Rebula 2015 smells like a garden’s worth of fresh green herbs next to a row of incense on the pathway. Tropical fruits, yellow flowers, roasted nuts, and honey follow up. Full-bodied, juicy, and lively. We appreciate its rich texture, sweet tannins, concentration, and freshness. We had this during the masterclass and also at lunch. Even as we drank this wine from simple water glasses and with food, it completely shone. Some people may pick on the aldehydic nose, but we think it’s perfectly fine. Owned by Zmago Petrič, the Guerila Winery obtained biodynamic certification in 2014. This was our last #winewithaview before we left #VipavaValley (#Slovenia)on Monday: Guerila’s Rebula Extreme 2015. The grapes come from a Demeter-certified vineyard with a flysch-and-opoka soil composition. The grapes received 45 days of maceration (hence the name “Extreme”) and 2 years of aging in 500-liter oak barrels. The result is a wonderfully balanced unfiltered #Rebula wine with predominant notes of citrus and apricot. The sweet tannins appear gently on the mid-palate and guide the flavors well to the end, along with a polite level of 4.68g/l total acidity. It’s juicy and considerably fresh despite the long maceration and oak-aging; there’s no overwhelming oxidative note or annoying grip. I like this wine a lot for its harmony at such a young age, and I can certainly finish a whole bottle of it by myself in one sitting, with or without food. 12% ABV, that’s easy to deal with in the afternoon too! The wines of JNK (pronunciation: Younk) has been recommended to us many times, and we finally had our first taste at the masterclass. It was our second favorite in a masterclass of 25 wines. 13.5% ABV, 3.7 PH, 4.21 g/l TA. The JNK’s Rebula 2009 was aged for 20 months in used oak. 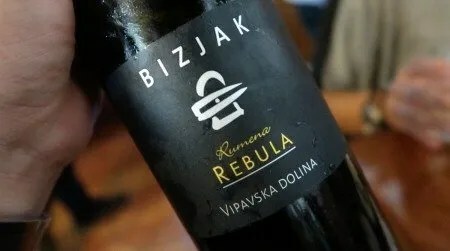 JNK’s Rebula 2009 is a classic example of a well-made, oxidative-style macerated wine with notes of fall leaves, tangerine, red berries, and a touch of rubber. Juicy, salty, and flat-out delicious. We particularly appreciate the balanced flavors between fresh fruit and dried fruit. It’s concentrated and structured yet soft like a cotton candy in the mouth. This wine will be adored by many for its drinkability. Valter Mlečnik and his son Klemen Mlečnik produce around 12,000 bottles of wine each year, using only grapes from their 7.5 hectares of certified-organic vineyard. Maceration for white grapes is usually between three and seven days. After maceration, the wine is carefully pressed with an old wooden press. We adore the wines from Mlečnik Winery, and we both agreed that the Mlečnik Rebula 2009 was the best wine among the 25 in class. 12% ABV, 3.85 PH, 4.8g/l TA. It was aged for two years in oak and three years in the bottle before release. Notes of apricot and tangerine juice with a touch of fall leaf and ginger. This is rich and structured. Nothing sticks out, nothing is left behind. It hits every point on the palate with concentration and focus. A wine of harmony. It’s a true masterpiece. Franc Vodopivec, together with his wife Alenka Vodopivec and two sons Andrej and Tomaž work in the farm of Slavček. The name Slavček means Nightingale. The Slavček vineyards sits high up on the west side of Vipava Valley. 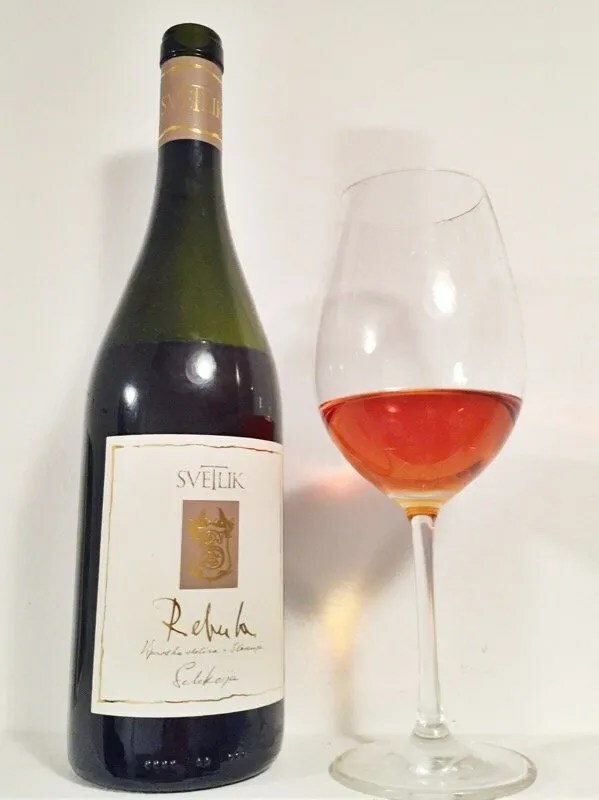 Slavček’s Rebula Reserve 2015 had 20 days of maceration and was aged for three years in a combination of oak and acacia barrels. It’s a very pretty take on Rebula. Charine’s tasting notes are below. Edvard Svetlik and Ivi Svetlik, a husband-and-wife team, have engaged the help of Matjaž Lemut (Tilia Estate) to craft around 5,000 bottles of Rebula per year. The Svetlik’s Rebula Selekcija 2010 was one of the best vinous highlights of our trip. It was macerated for two weeks, then aged in oak casks. A classic example of oxidative-style, macerated Rebula: its firm structure is loaded with flavors of leaf pile, orange peel, dried apricot, and wax. The mid-palate gets a nice treat of tangy fruit attack and the finish is guided by a touch of pleasantly dry and bitter seed tannins. A powerful Rebula with no undue weight. It bears some resemblance of Gravner’s Ribolla. This wine is only beginning to reveal its potential. Ready to drink now but better to hold for a few more years. 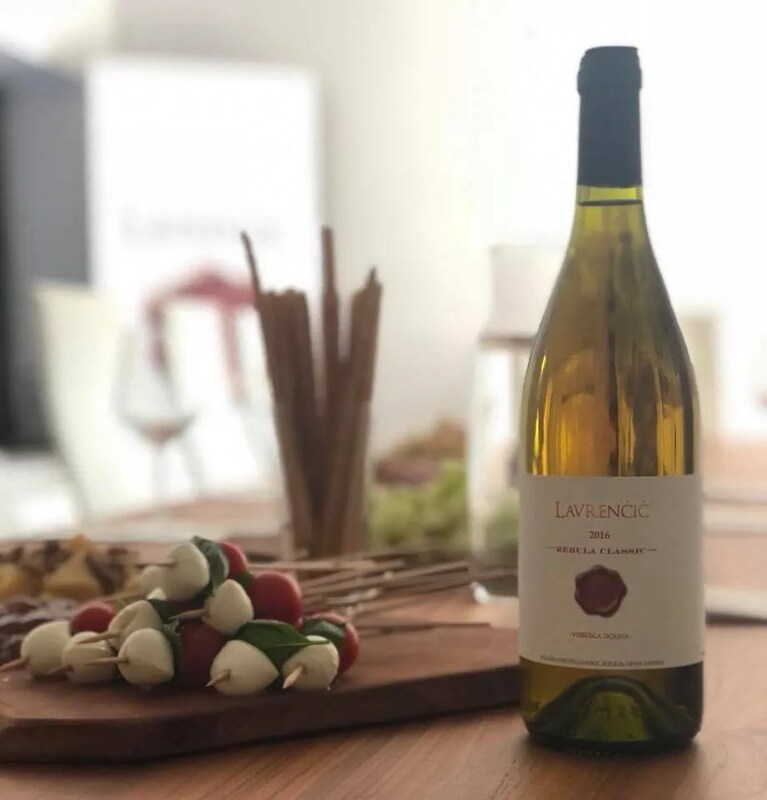 Proprietor and winemaker Primož Lavrenčič makes this wine as a tribute to the old Vipavec, a white blend from Vipava Valley. Burja’s Burja Bela is a blend of 40% Istrian Malvasia, 30% Rebula, 20% Welschriesling, and 10% other local white varieties. The vines are between 8 to 70 years old. Vinification is done in a mix of concrete vessels and big oak casks, with a redox approach in mind. Maceration is about one week. The wine is aged for 11 months in the barrel and one month in steel tank before it gets bottled without filtration. 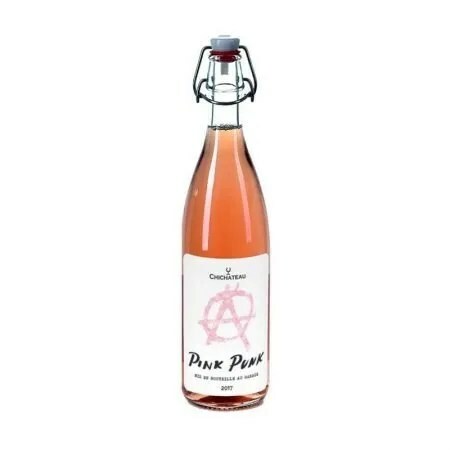 The nose is rather restrained and undefined but the soft and smooth mouthfeel and flavors of cream, quince, peach, and citrus brighten things up. This wine has vibrant acidity and a persistent mineral undertone. I feel as if I could smell and taste opoka in this wine. I think this is as amber as a Rebula wine can get. Skin contact lasted for around 21 days with three punch-downs per day during maceration. The wine was aged in 300-liter barrels for 20 months before bottling. 13% ABV, 3.55 PH, 5.6g/l TA. I suspect not many people would appreciate this full-fledged oxidative-style of Rebula, as is the case for Matthew: he finds this over-macerated. There’s not much fruit appeal left, but what emerges is something appetizing, earthy, and savory. Notes of dried fig, butterscotch, chestnut, and tobacco. Round, balanced and elegant on the palate. If you’re looking for texture and structure in Rebula, or if you like the flavors of brandy, then this is the wine for you. We were guests of the Slovenian Tourist Board and Vipavska Rebula Cesarjev Izbor 1503 and they paid for our travel expenses. Please note that the opinions expressed are our own and have not been paid for in any way. We do not sell editorial content as that would destroy the legitimacy of our reviews and the trust between Exotic Wine Travel and its readers. On occasion, we extend the option of purchasing the wines we review or/and the products we spotlight. Some of these product links are set up through affiliate programs, which means Exotic Wine Travel gets referral credits if you choose to purchase these items via the links we provide.